I just took a mother-daughter road trip to Palm Beach. Most people don’t think of Palm Beach as a destination for young children, but my preschooler and I found lots of great ways to stay not only entertained, but learning through the unique attractions that this beautiful Florida destination offers. Loggerhead Marinelife Center is an ocean conservation organization and sea turtle rehabilitation hospital located in Juno Beach. This area of Palm Beach is one of the most densely-nested loggerhead turtle nesting beaches in the world. The Loggerhead Marinelife Center is free for all ages and provides an up-close interaction with threatened and endangered sea turtles. You’ll learn about types of sea turtles, their life cycle and how humans can help save them through exhibits and learning programs. During our visit, we signed up for their Mommy & Me paint class. It’s perfect for preschoolers. This class is designed to introduce basic sea turtle conservation and biology to young children with a brief ocean-themed story and a hands-on biofact lesson before painting an figurine to keep. We painted a turtle dish! The class charges a small fee, but it was worth it to add some creativity and a souvenir to our learning experience. The South Florida Science Center revolves around a simple premise: science is exciting! This expansive Hall of Discovery contains 100+ hands-on exhibits, a full dome digital planetarium, a 2,000 square foot early childhood education room, theater, and a science laboratory. There are daily touch tank demonstrations and live feedings in the Aquarium area of the center. After spending a couple of hours inside you can continue exploring outdoors on their interactive nature trail which includes hands-on exhibits: Bubbleology, fossil dig, whisper dishes, and a brand-new 18-hole miniature golf course in a giant butterfly garden. This is definitely a fun way to spend half a day with the family. Need a place to stay? We loved Palm Beach Marriott Singer Island. Lion County is Florida’s only drive-through safari where you will have a chance to spot more than 900 animals divided among seven sections. You are given a CD to listen to as you drive your own vehicle through the safari space. Afterwards you can enjoy animal displays and encounters, animal feeding experiences, kid rides, a water spray ground, and grab some food at their on-site restaurant. My daughter loved seeing the animals walk right up to our car or run by us playing. Watch this video to see this large pack of zebras run along side our car. Plan 3-4 hours of your day to spend at this memorable Palm Beach County attraction. Manatee Lagoon is an FPL Eco-Discovery Center, offering free admission for all visitors. The center provides engaging opportunities to learn about manatees and how we can protect Florida’s wildlife. Dynamic exhibits offer insight into South Florida’s coastal ecosystem. On cold days during the winter months, Manatee Lagoon is the ideal spot to view wild manatee herds basking in warm-water outflows from Florida Power & Light Company’s adjacent Riviera Beach Next Generation Clean Energy Center. Any trip to Palm Beach MUST include plenty of beach time. When you’re ready to take a break from the sand and sun, hopefully this list of fun things to do in Palm Beach will help you plan the rest of your trip. Need a place to stay? We stayed at Palm Beach Marriott Singer Island Beach Resort & Spa. It’s right on the beach and the condominium style hotel is spacious and very kid friendly. Read my full review on my family travel blog, A Cupful of Carters. You can also check availability at TripAdvisor. Want to save money on your Palm Beach vacation? 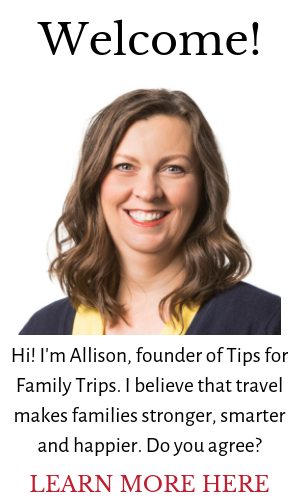 Get a FREE minicourse 7 Ways to Save BIG on Your Next Vacation when you subscribe to Tips for Family Trips’ newsletter. Learn more HERE. Need more ideas for your Palm Beach vacation? Check out our Florida destination page and Florida for Families Pinterest board. Disclosure: We received complimentary tickets to Lion Country Safari from Discover The Palm Beaches for the purpose of review. All opinions are my own. Cool beans in Palm Beach is closed, according to the website. FYI. Thanks for letting me know! I’ll check this out and update the post.